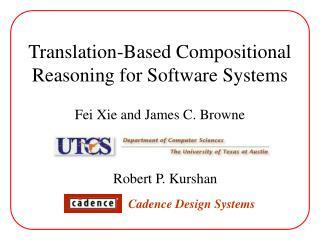 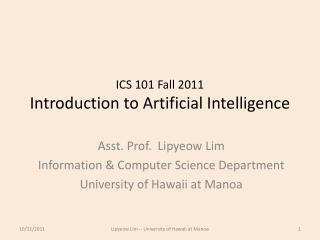 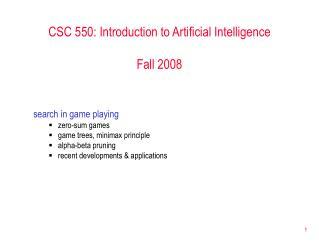 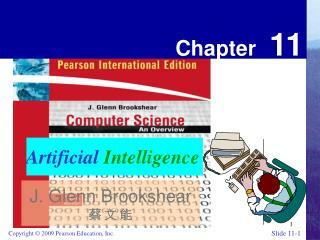 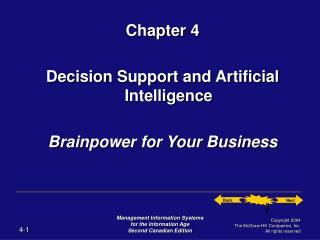 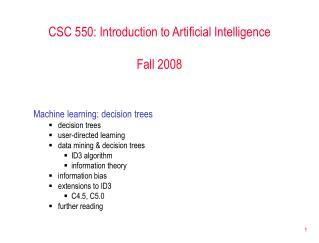 CSC 550: Introduction to Artificial Intelligence Fall 2008. 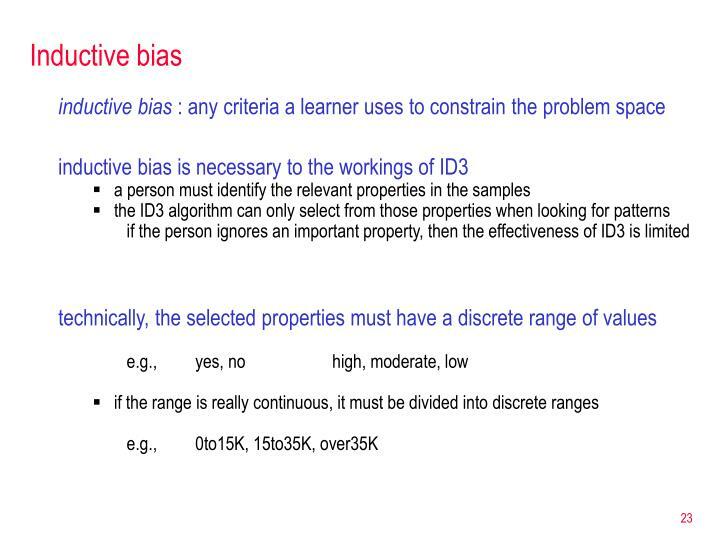 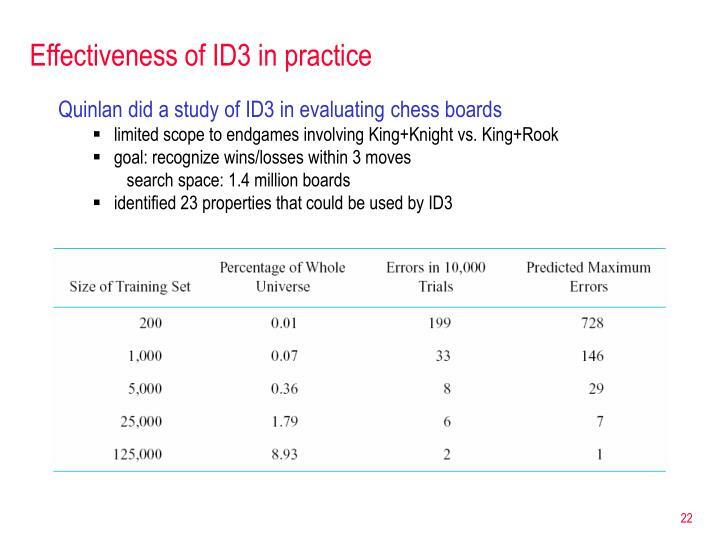 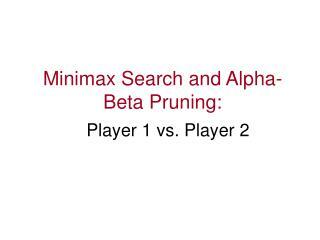 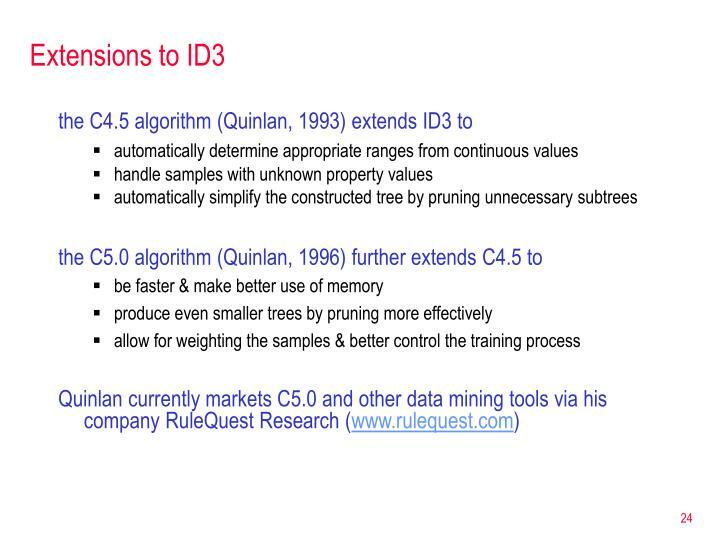 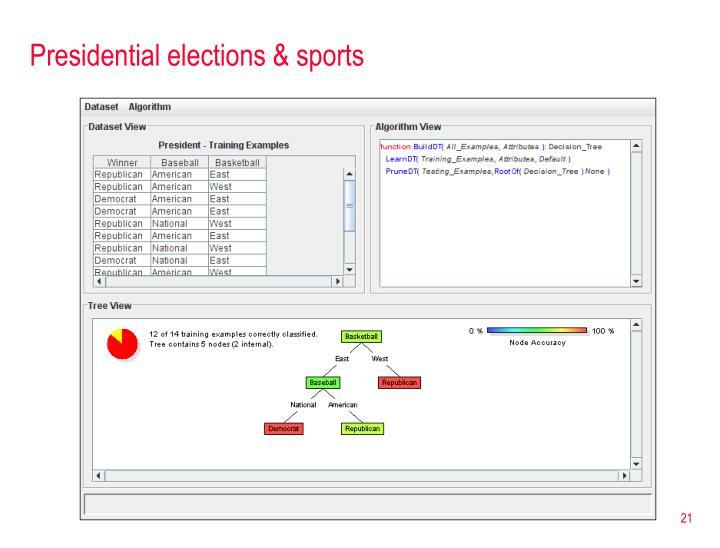 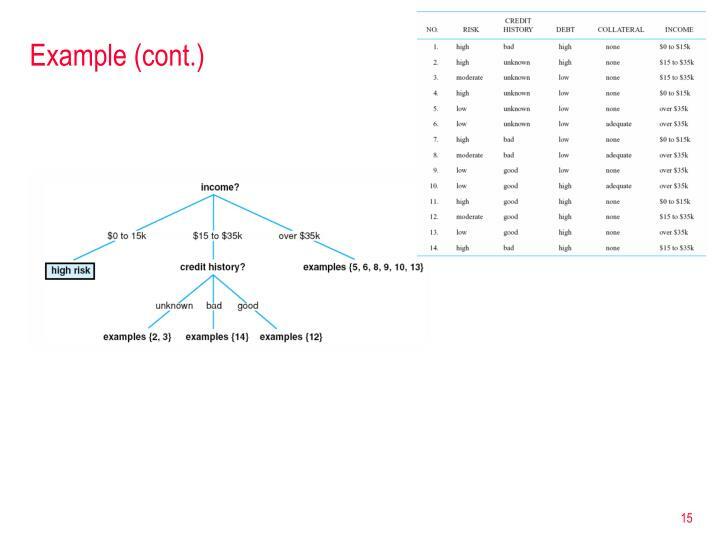 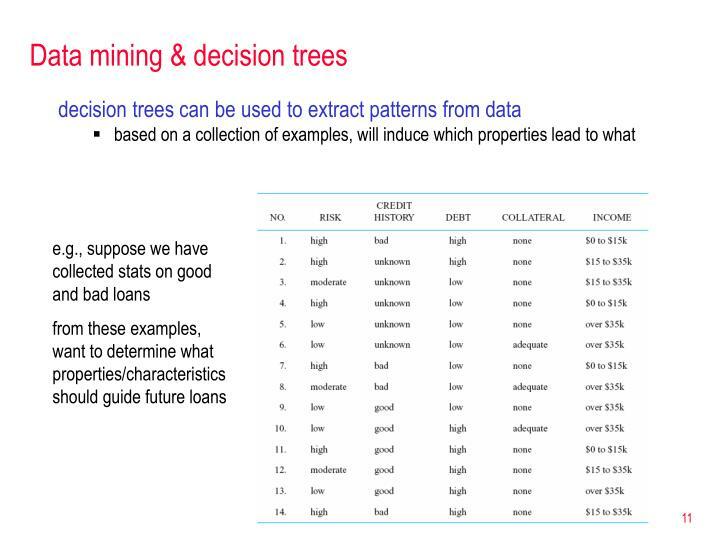 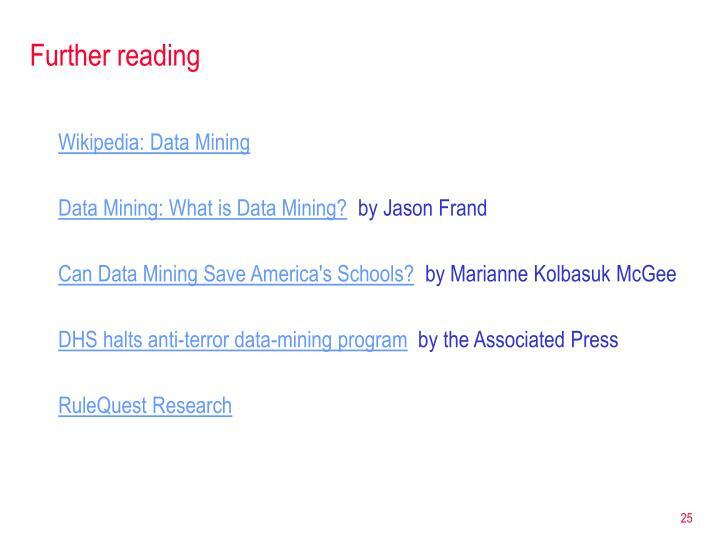 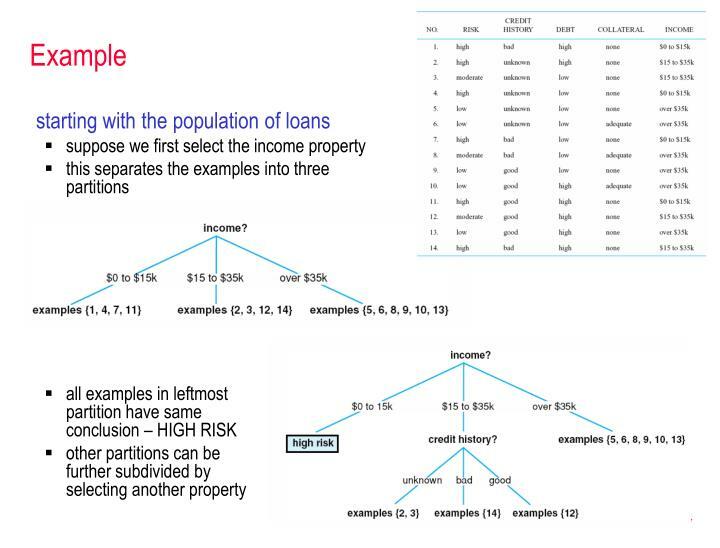 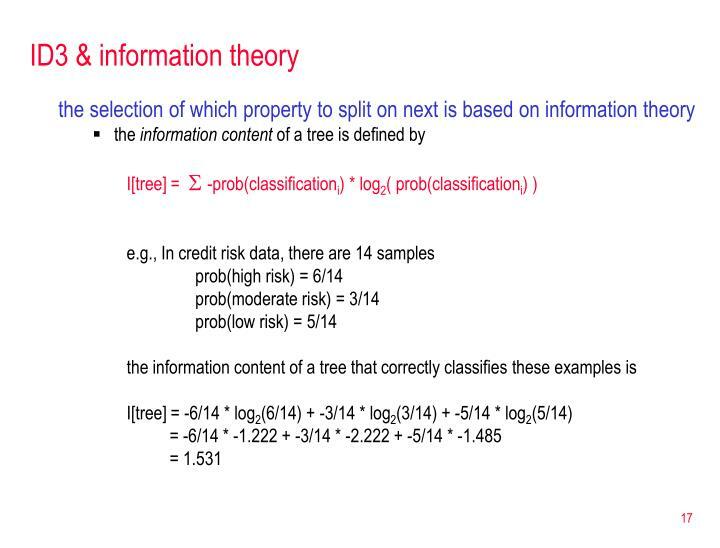 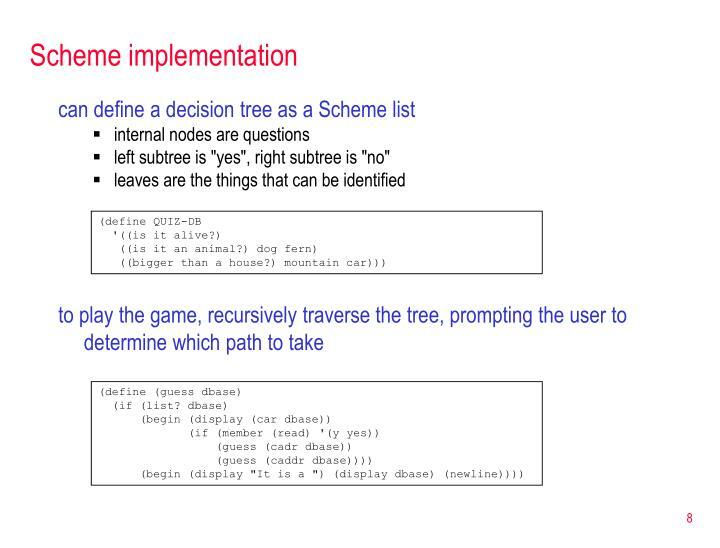 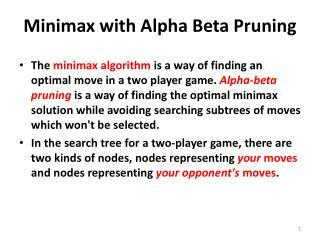 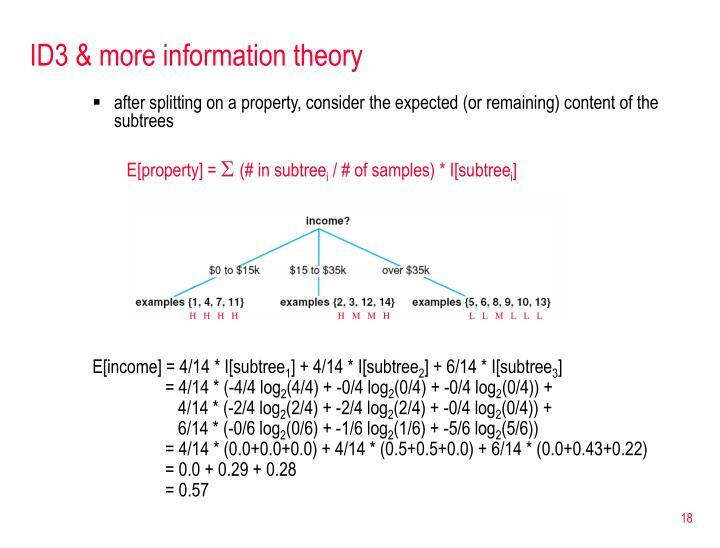 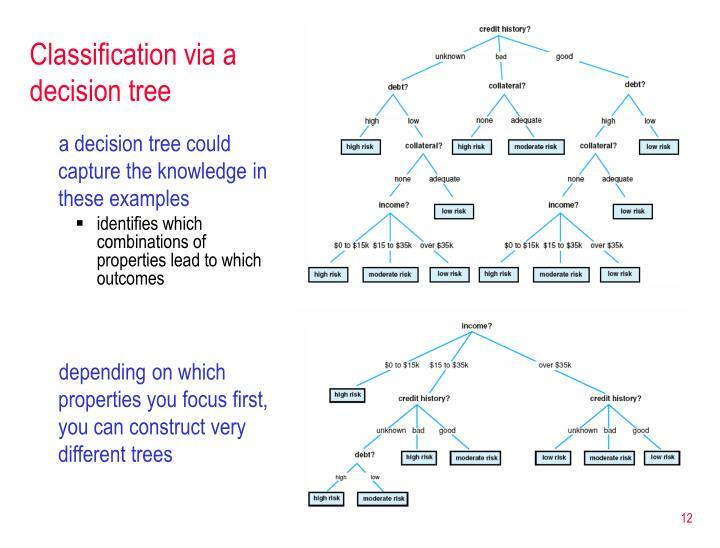 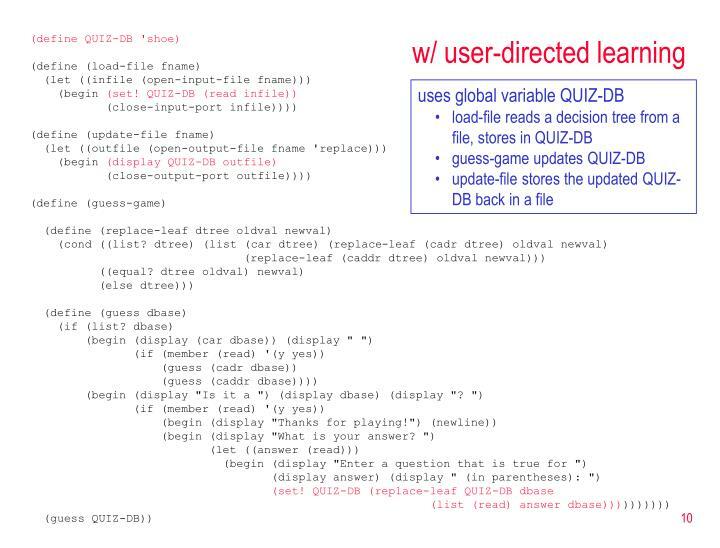 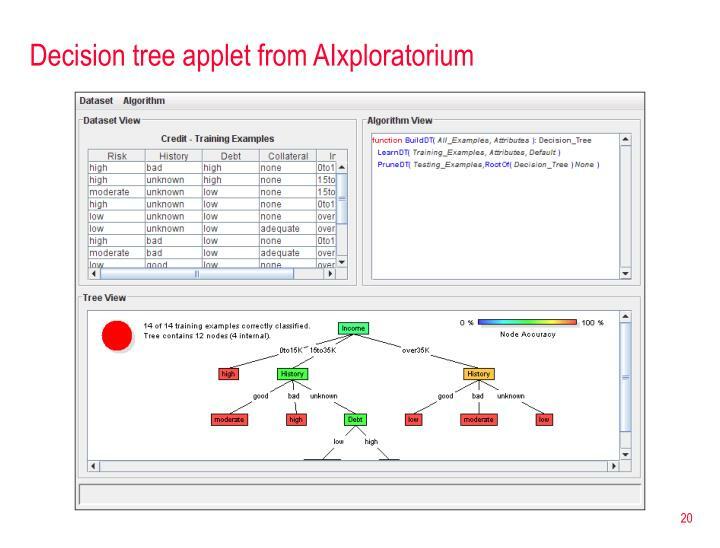 Machine learning: decision trees decision trees user-directed learning data mining & decision trees ID3 algorithm information theory information bias extensions to ID3 C4.5, C5.0 further reading. 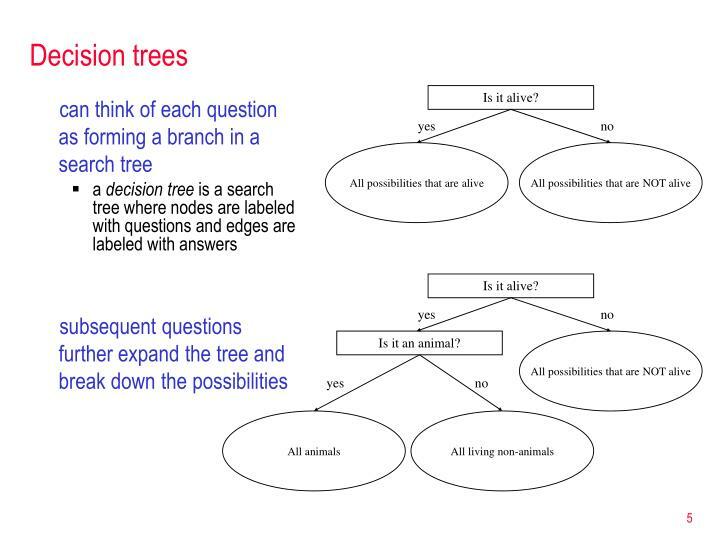 Philosophical question. 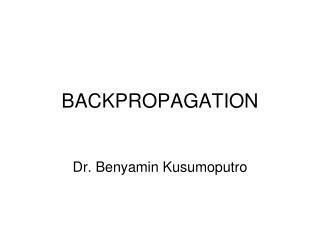 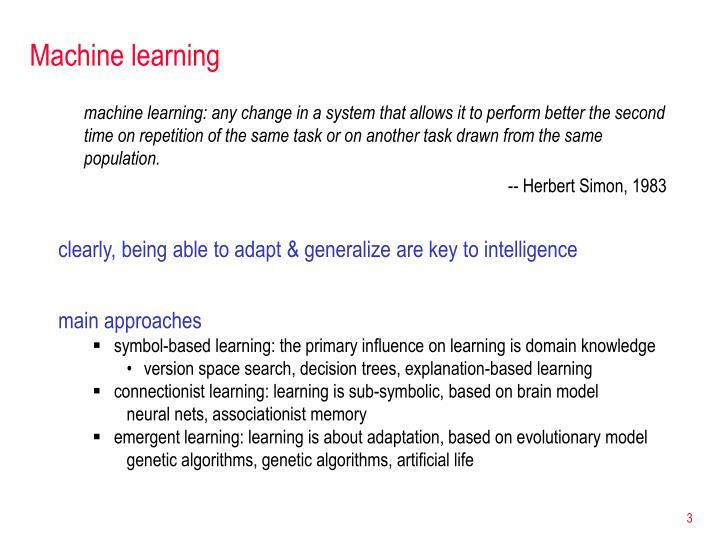 machine learning: any change in a system that allows it to perform better the second time on repetition of the same task or on another task drawn from the same population. 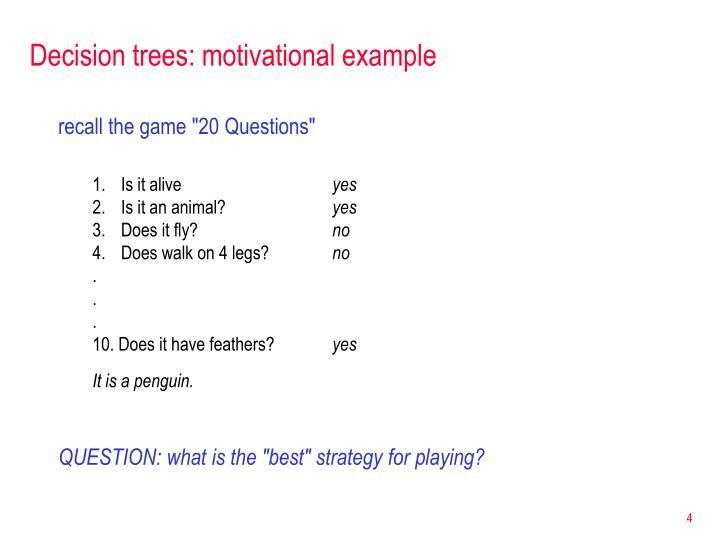 recall the game "20 Questions"
QUESTION: what is the "best" strategy for playing? 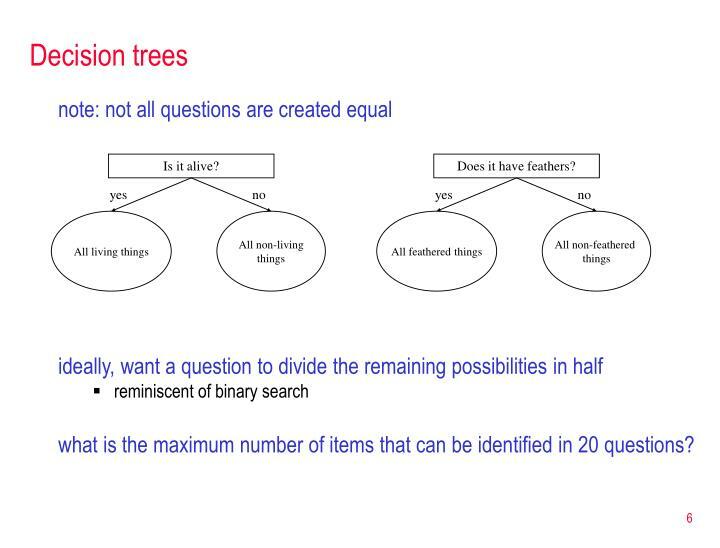 what is the maximum number of items that can be identified in 20 questions? 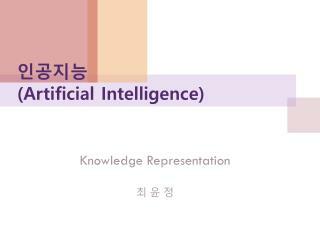 THEN it is a sparrow. 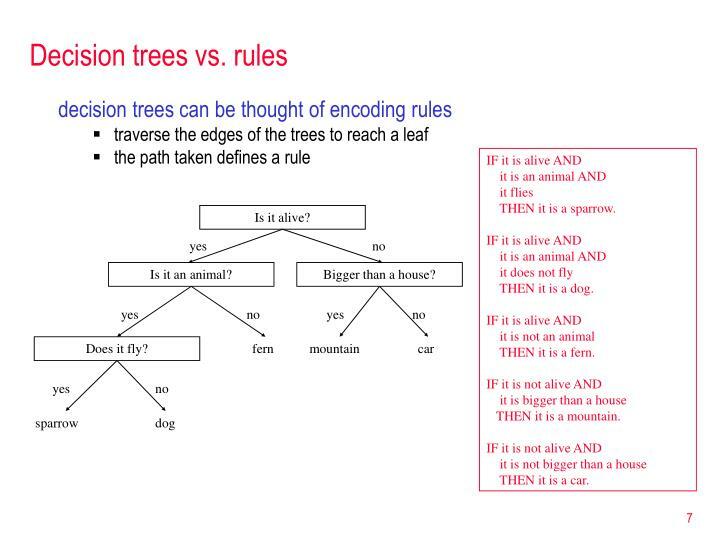 THEN it is a dog. 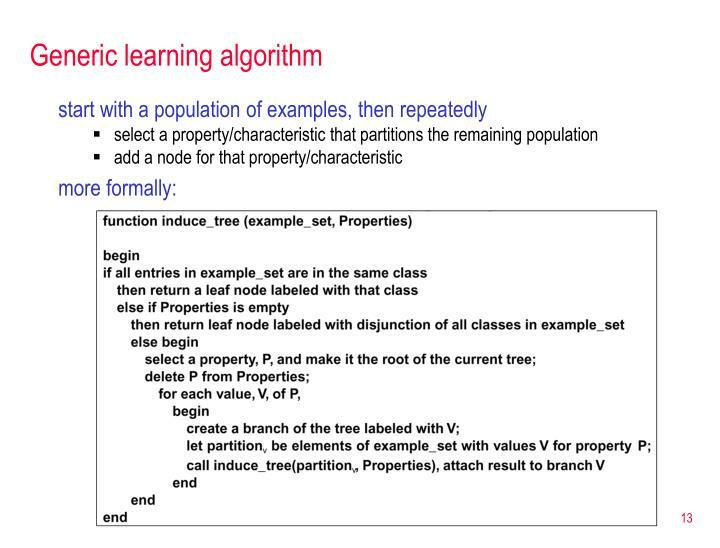 THEN it is a fern. 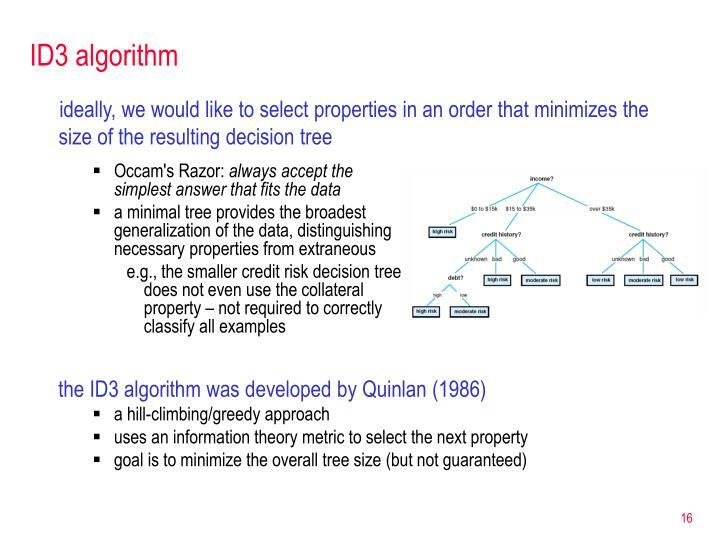 THEN it is a mountain. 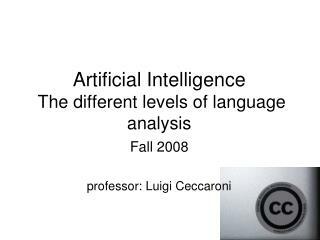 THEN it is a car. 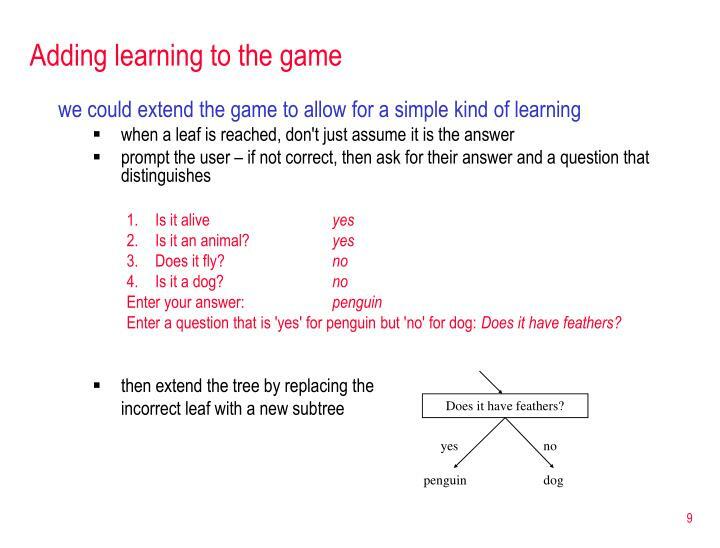 left subtree is "yes", right subtree is "no"
Enter a question that is 'yes' for penguin but 'no' for dog: Does it have feathers? 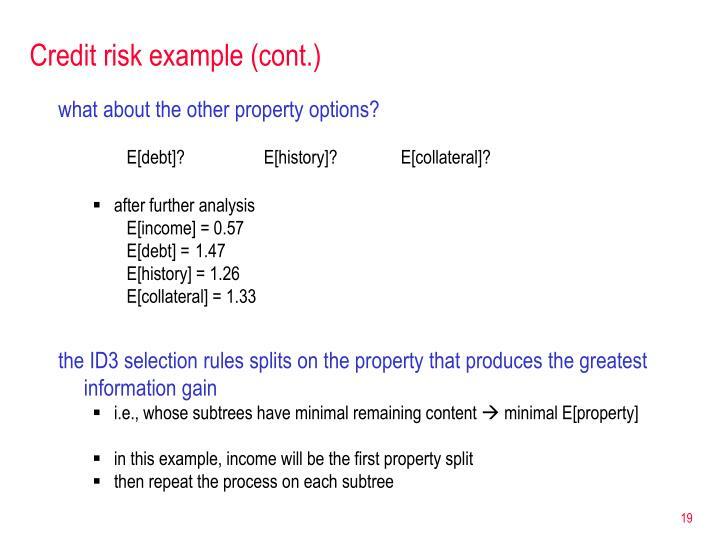 what about the other property options? 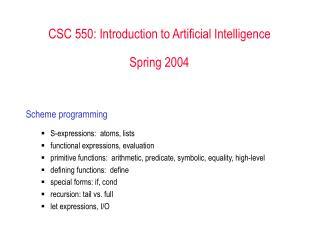 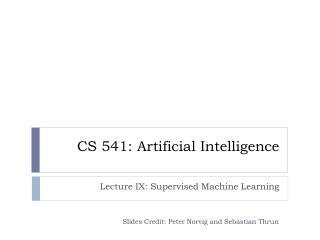 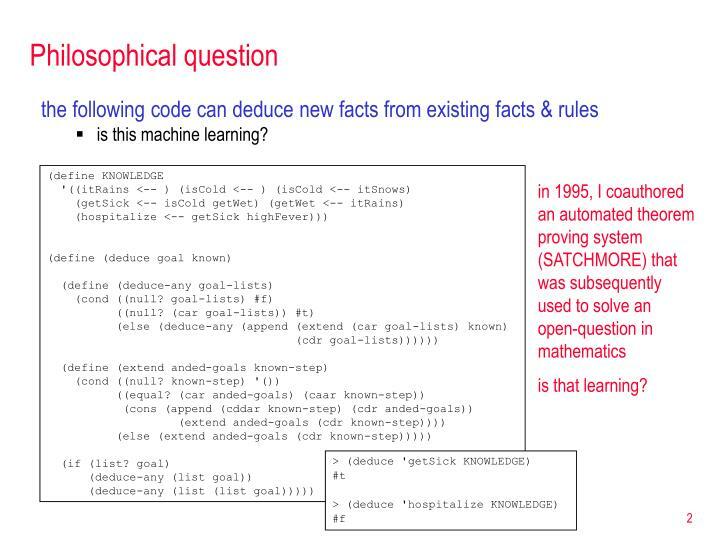 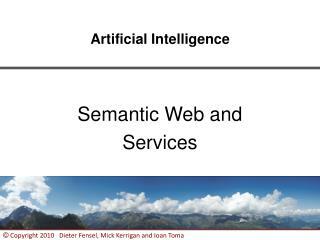 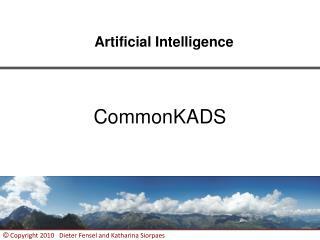 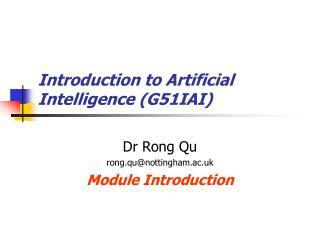 CS347 – Introduction to Artificial Intelligence -. 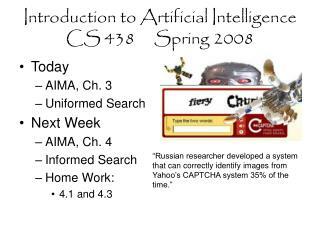 cs347 course website: http://web.mst.edu/~tauritzd/courses/cs347/. 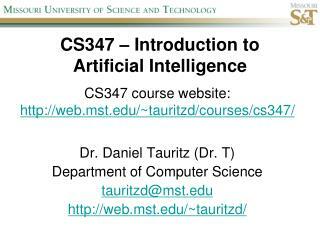 dr. daniel tauritz (dr. t) department of computer science tauritzd@mst.edu http://web.mst.edu/~tauritzd/. 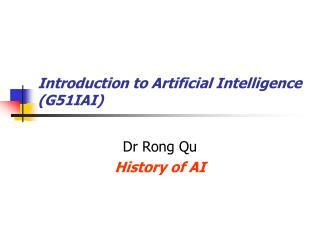 what is ai?. 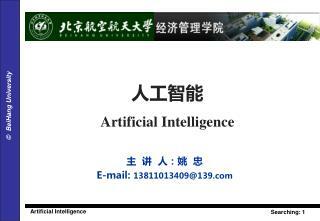 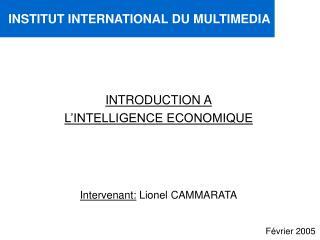 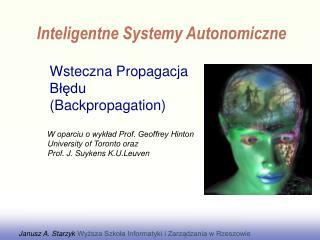 ARTIFICIAL INTELLIGENCE: THE MAIN IDEAS -. 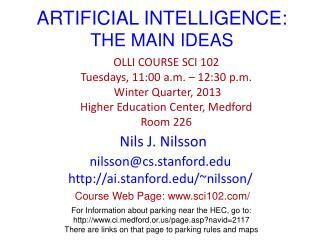 olli course sci 102 tuesdays, 11:00 a.m. – 12:30 p.m. winter quarter, 2013 higher education center, medford room 226. nils j. nilsson. 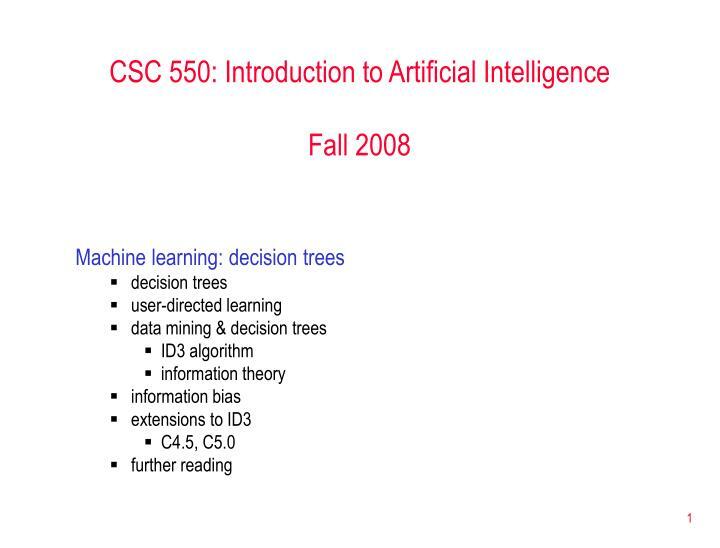 nilsson@cs.stanford.edu http:// ai.stanford.edu/~nilsson /.